Welcome to another Q&A episode! 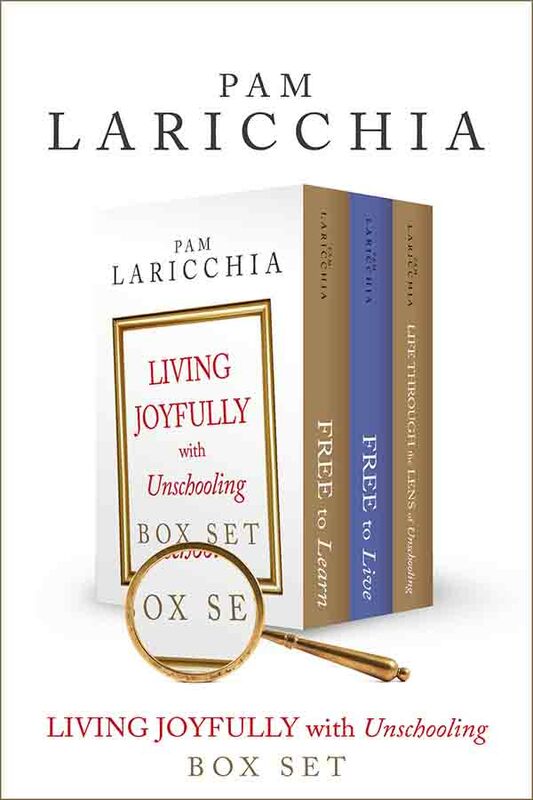 I’m Pam Laricchia from livingjoyfully.ca, and I’m happy to be joined again by Anne Ohman and Anna Brown. Hi to you both! PAM: Hello! So, we got ourselves a slate of questions today, would you like to get us started, Anna? ANNA: Sure! Okay, so question one is from Ionia in Ireland. ANNA: Thanks, Ionia! I found this really an interesting question. You know, I’ve seen with many children who have grown into adulthood that they do find a way to make a living. And I’ve seen some do it while they’re pursuing what they love, you know, art or dance, music, etc. And I’ve seen that others do choose to keep their passions close to their heart and to not make it about money—choosing to earn money in other ways. So, I think it’s interesting to see that people do what feels best to them. I think what’s particularly cool about the unschooling young adults that I know is that they’re so much clearer about their choices and when something doesn’t work, they tweak it. And I think we don’t see that as often in adults who maybe haven’t had this background. They’ll stick to something and they’ll be miserable and they’ll complain and they’ll kind of dig themselves into a hole and I see that unschooled children are much more in touch with that internal guidance system which I think is really cool. I think so much about what you’ve described is about the story we tell ourselves and about our choices and our motivations. If we tell a tale of ‘have-to’s’ and requirements it can really weigh us down but if we can find a place of joy about a commission or about another job we decide to take, it changes the energy in how we approach it. I really look at it as there are always choices. You could choose not to finish the commission or you could push back the date. You might also choose to take time to follow your impulse to work with your water colors and in doing so might find the perfect inspiration for the commission. Embracing your choices and trust that inspiration and joy will flow. You know, that’s really the mental shift. If the commission is truly not speaking to you, you can choose to trust that another door will open. For me, it’s really just the energy that I bring to the situation that shapes how I feel about it, about how it ultimately plays out. 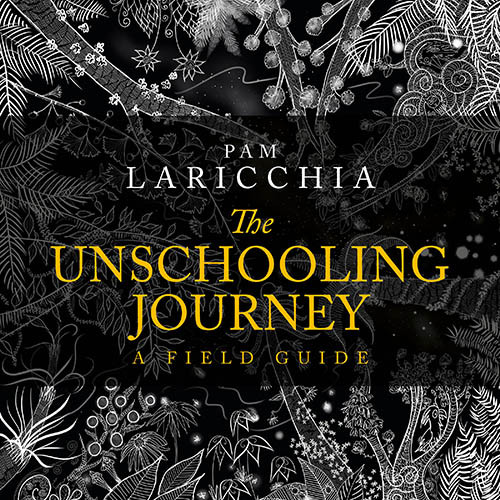 I do find unschooling, in general, to be very much how adults approach learning, and I’ve always found that fascinating. We’ve talked about it before. You know, we find something that interests us and we may read or find mentors or just dig in and start doing it. We find resources or whatever aids our process. We pursue it until we get what we need out of it and then we move on or we keep going if it’s something that speaks to us. It really just seems to be the natural process of acquiring knowledge and you’re already seeing that. I would just suggest taking a look at the words you use and the stories you’re creating around the things in your life. That’s completely in your control and I think you’ll find that it has the power to create a lot of joy and amazing connections and opportunities as you go. ANNE: Yeah, I too loved your question and your thoughts. Thank you so much for sharing them. I’m adding on to what Anna is saying about the choice we have about how to perceive things. And I want to springboard from your portion when you ask, “How do children who have been unschooled make the transition from following their interests freely to having to earn a living?” and just the contrast of those two things was so huge that I’m just going to say—They don’t! (laughs) Because they just keep doing what feels good and right to them. It’s never a weight of having to make money, I believe. It’s their desire to make some money or their desire to move to their own place. Those things are a part of the continuation of their unschooling lives. Those desires are a part of their being-ness and their focus is on living a good life, walking toward the things that make them feel good. So, as I said, they simply don’t carry around the weight of having to make the money. If they want money, as I said, it comes from a desire for something that they want that will allow for their growth and expansion and that’s how it’s always been for them. That’s something that gets a fabulous thumbs-up from the universe also because growth and expansion is what we’re here for! And so, because of that, the universe sets things in motion to make things happen for them. I have stories about that but first I want to say that I love how you say this: “An artist may find that they wake up one morning and have the impulse to take out their dusty water color set and go painting, but they have a commission they need to finish and so the impulse has to be ignored. The activity of creating the commission suddenly becomes less enjoyable as the natural creative flow has been blocked.” I get that but, once again, when they’re unschooling kids the impulse does not have to be ignored or pushed down. As Anna was saying, it’s a choice to do the other thing that is also fulfilling because it’s a part of the path that they are choosing to take to get exactly what they need and desire from their life. It’s their choice—in fact, it’s part of their vision—of getting that thing which makes them feel good. And I was saying this too, they don’t have to feel like their work is drudgery. That’s the message society sends us. That’s where they send us after twelve years of school and after four years of college they send us to a job that becomes drudgery and joyless and lifeless. And from what I know of unschooled adults, they know that this is not real life. The thing that’s important here too is that my kids have taken jobs outside of what their biggest passion is and they have loved them and are currently loving them right this moment. They’re working at other things. Because while Jacob is an artist, that’s not all he is and while my Sam loves to cook and he was a chef, that’s not all he is. There was a point in Jacob’s life—he’s 26 now—or is he 27? He’s 26 and will be 27. I can never remember how old he is! There was one point when he did feel like he was paddling upstream trying to come up with ways to make a living from his art. So, you know, I get what you’re saying and everything, and for him it was crucial that he was free to do what he was inspired to do. He left art school in fact because he started to feel like they were teaching his own voice out of his art. So, I came home and I was so excited to tell Jacob because it was during this time when he was feeling like he wanted to make money but couldn’t figure out how to do it with his art. As I told him, I literally watched the weight of the world lift from his shoulders. I could see him sit up taller and his face lit up and I could see possibilities opening up in him. So, right away we started the flow of doors opening in this new exciting path we were in. I remember we went to Blue Bottle Coffee’s website and he’s reading about their history about brewing methods and their equipment, their fair-trade practices. We ordered the book The Blue Bottle Craft of Coffee and from him just speaking aloud, his desire, those few sentences, a new world and direction opened up to him. So, the owners knew us, they knew my kids, and Jacob had that job the minute he walked in the door for the interview. And he stayed at that job and he learned so much about wine that he was put in charge of the store’s wine tastings, and then he left the job when he got what he needed from it. And Sam’s story also, he’s worked at his passion since he was 19, he’s 23 now and working in a professional kitchen is very stressful and demanding. He knew last year that he needed to walk away from that and right when he was thinking about what he would love to do instead—not just thinking about it because our unschooled kids kind of hold on to things, you know, with their whole being-ness, holding on to the question and to the desire. I was on Instagram one night and I saw that the farmers for whom both Jacob and Sam had interned one summer were hiring full-time farm hands. And this was one of Sam’s visions to learn more about the organic farming aspect of his passion for food. And so, of course, they wanted to hire Sam. And recently, he even thought about going back to being a chef but the farmers didn’t want him to leave and offered him a nice management package through to next year that may turn into a farm-to-table restaurant situation in the future and Sam is so, so happy and content with staying there. The point of my stories is that as unschooling parents, we can’t sit where we are and look at our children and predict the future. We don’t want to do that. Even worse is to worry about the future or be fearful of the future. And we don’t even want to speculate about the future because there are infinite possibilities for an unschooled child that we can’t even come close to knowing about. Our attention only needs to be right here, right now, in this moment, helping our child get what they need to bring them joy and the things that make them feel good. Because it is in following their inner voice and their intuition and inner compass that doors will open for them that they didn’t even know existed because they’re living in that space of their joy. And I’m not talking about taking clay and creating something from scratch, I’m just talking about how Jacob and Sam created and manifested really what it is they desire because it’s that desire that’s a part of the fabric of their being and that goes into the universe. And just the fact that they know that they want to live a rich, full life and not just have a job. 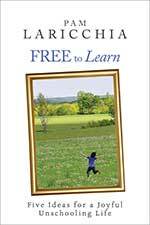 So, as far as your question, “Can unschooling carry on to adulthood”, if you’re willing to think beyond the box, there is an Abraham Hicks book about the law of attraction and money that I think you would benefit greatly from. PAM: (laughing) I love just sitting back and listening to stories. I will just add a touch because I have lots of those stories too, but it’s definitely a fascinating question, Ionia. 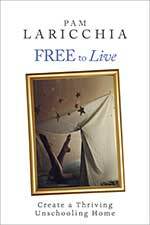 I loved it and I love the connections that you saw between unschooling and the artistic lifestyle. And what you’re talking about really is that classic psychological struggle of earning a living. But exactly what Anne was talking about, it’s a shift, it’s a natural shift for unschooling kids because that is such an integral question of life and unschooling is living life. 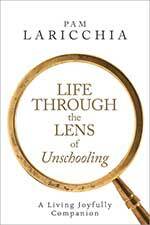 There is no unschooling inoculation for the realities of life. 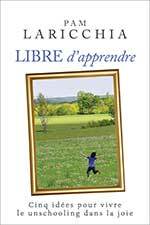 When we first hear about unschooling it can seem kind of utopian like, “We never have any problems because look how beautiful! We all just do whatever it is we want!” But as you learn more and more about it and as you see it in action, you see that it’s just a different way of looking at and approaching all these aspects of life. I see that question coming up regularly in the writing communities I hang out in, it’s in just about every author mindset book I pick up: writing for love or writing for money and what that distinction means and is it really a dichotomy? Is it really one or the other? And that’s what we’re saying is that there are so many choices and possibilities between there to get both. It doesn’t have to be one or the other. And as I mentioned, I see my kids grappling with these questions all the time. My daughter is a photographer and so she went through that as well. It’s just very similar to what Anne says and what Anna mentioned before: it’s all about seeing how it’s going, how we’re feeling, and tweaking things because, in the end, the value that unschooling really brings to this question is the level of self-awareness that our children have as they make that shift. Because people want to earn money—you can’t put a timetable on that either—when they have that as a goal at some point, “Oh, I’d like to be able to do this and this and I need some money for that, how can I earn it?” You know, it’s just things that come up when you’re living life. And they’re self-awareness is what brings them that advantage. And so, it’s not, like Anne was talking before, it’s not like this happy unschooling life and then all the sudden the weight of having to earn money. It’s not a shift like that. It’s a natural shift based on their goals and what they want to do and accomplish and how they want to live even, right? Even just wanting to have their own place and their own space and stuff like that, all those questions come into the mix. So, it’s such a beautiful yet natural transition and they don’t have to turn off their unschooling mindset or their unschooling approach to their days because it’s a lifestyle—it’s a way to approach life in the end. ANNE: Because it comes from within them and not from society’s messages to add on to what you were saying. ANNA: Right, and the same for me because I feel like it’s a different relationship with money. I think that when you’re on the treadmill it’s, “You do this to have this, to do this to have this,” and you’re not really even understanding why you’re on the treadmill and why you’re doing this. I feel like it’s that self-awareness piece that Pam talked about. They’re choosing opportunities to get money or to find ways to earn money to do the things they’re interested in—it all make sense. It just reminds me of unschooling with math, it makes sense when it’s something you use and do and is a part of your life. It’s the same with this idea of money. And I also loved what Anne said about don’t try to plan because I feel like our minds are limited in what we think are the opportunities or paths and really the paths are infinite. So, just let that unfold and trust that self-awareness that they have. ANNE: Umhmm. I find that seeing our lives as always fine-tuning because we walk towards what feels good and that’s not going to feel good forever because we are growing and expanding so then there’s the period of fine-tuning. Mainstream society does not know that concept. And our children grow up with that, grow up with encouragement to continue to grow and expand and shift and change and interested in this now and interested in that later and they’re not all about their biggest passion, if they even have a biggest passion. And that is another thing that I know a lot of unschooled kids feel bad about because they don’t have a big passion but you have a hundred little interests that are worthy also! Just because mainstream starts out asking infants what they want to be when they grow up (all laugh) that’s not the world our kids live in at all. They are valued in this moment, who they are right in front of us and that’s what we see, value, and celebrate. PAM: And I love the idea, just to reiterate it, you mentioned Anne, that there is nothing wrong at all with choosing to earn your money in one way and use those earnings to pursue your passions and your interests in the way you want to. PAM: I remember when Lissy was younger, early teens, and really into photography, and you would tell somebody outside of our family that she was really into photography, it was, “Oh, she’s going to be a photographer.” But no! That’s not an assumption to make! We make our choices from such a different place, even if what we do looks very similar. ANNA: Right! And I think unschooling kids get the experience. Like it’s not just, “I have to do this to make money to do this.” I have a child who works in a movie theater and it’s the experience piece. You know, people may say, “Oh she’s trying to earn money at this minimum wage job,” or whatever it is, but she wanted the experience and she’s saving a bunch of money! ANNE: Right. And it’s for the joy, you know what I mean? They wouldn’t keep doing it if it wasn’t for the joy. And the other thing is, our kids have left home and come home again and we’re not the family who kicks kids out. I have a friend on Facebook right now and she’s writing about crying because her daughter is going to college in the next town, 15 minutes away and everything! But still, she homeschooled and she had her in her life every single day and everything and she’s crying. And I’m just like, it doesn’t have to be this way, you know? 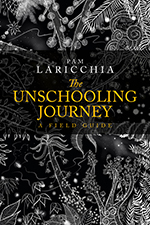 They come and go, flow in and out and that’s the beauty of our lives—our unschooling lives. PAM: And when you mentioned the joy, that’s the thing, we are also very used to looking for the joy. We find the fun in a situation that we’re choosing. We know when maybe this part of the job isn’t so fun but we always go back to the fact that this is our choice and we find and appreciate the good stuff about it. And yes! If we find over time that the negative stuff is starting to outweigh the positive stuff, that’s when you start shifting and looking for other things and making real decisions based on, “What have I saved?” “Do I mind staying here awhile until I find something else?” There’s just a million, a million, possibilities. PAM: Infinite. (laughter) And as artists, Ionia and your husband, you said both of you were artists, I just thought I would mention a couple of books that are on this whole mind shifty thing. The Practicing Mind by Thomas M. Sterner, The Art of Earning by Tara Gentile, and The Successful Author Mindset by Joanna Penn. It’s a mindset book, so it’s any kind of art I am sure. I read it a while ago but I know that it’s open-ended. Anyway! Okay, we’re probably ready to move on! Hi! Firstly, I’d like to thank you for these podcasts. I like to listen to them when I go for morning walks before my boys wake up and my husband has not yet left for work. So, now my children are 7 and 3 1/2. I am seeking help on how to respond to my eldest. Whenever he gets hurt or upset, his reaction is quite ferocious! He is extremely loud and hollers/squawks for quite some time. It is noticeable to people within our vicinity to the point that they think he is extremely hurt. He plays football (soccer), which he loves, and his father is his coach. My husband is becoming a little embarrassed by his reactions. I’m wondering how we can help him. We’ve never told him that it’s not ok to cry of course, and my husband is extremely affectionate with our children. When my son feels better, it is sudden and like nothing happened —there is no gradual recovery. It’s like he’s switched on or off. ANNE: Oh my. Hello. I can’t even begin to tell you how my heart is there with you right now. I know of which you speak deeply and not just with my own son but with myself as well. And I honestly don’t know where to start, there is so much I want to share. First of all, thank you, thank you, thank you for seeing him and understanding that school was not the right choice for him. Now, right off the bat you’ve made it clear that you want him to continue to be celebrated for being exactly who he is and you’ve kept that desire and energy throughout your entire write-up here, or question, and that’s just so wonderful and right. And I know for sure we can help you dig deeper and go a little more radical so that you can have some answers and direction. And I so understand your reluctance to ask the questions that you feel may lead to diagnosis, labels, and therapy. You’ve come to the right place and there are other places you can go. I also went out on a quest to find some answers and because my questions came from a place of simply wanting to own a deeper understanding of my child so that I could give him what he needed in order to feel at peace and to shine, I knew it was worth pursuing in finding ways to help him. So, for me, I just needed more information about my child’s mind and heart and I feel like you do also so that you can continue to create your space in your son’s world—one that is easy and joyful to live in, one that he is free to shine as he is. And when I say you can create his world, that’s a really powerful sentence for you to remember and hold on to because it’s with every choice you make you can follow his needs and his desires. You can surround him with people who see him shine as he is. You can fill his life with the things that make him light up and you can remove the things that bring him huge anxiety and stress. Or at least talk about how to reduce those things if it’s something that he still wants in his life. But the point is, that you do have the power to create your child’s world with him by following and helping him get more of the things that give him less anxiety and more joy. Yes. You are on the right track, that is where you need to be. And yet even with that, I’m feeling there’s some shifts and pivots you can make to go even more radical with your desire and that’s what I am talking about with creating his world. I think you don’t want to have your mindset or goal to simply help him cope or manage in the world because there is so much more. And with every breath, with every conversation, with every choice and decision, you can hold on to this vision of him shining and lighting up from doing what he loves to do the most. You’ve seen him in that place and you can just hold on to that with everything you do and talk about and that’s how you create the world also. Focusing on coping and managing kind of drags that down, you feel that difference between the two? Shift your focus to shining and to his shine and celebrating him. Helpful in the journey of getting more information, if you haven’t read the book The Highly Sensitive Child that would be valuable, if you haven’t read The Out-of-Sync Child, that would be valuable also. 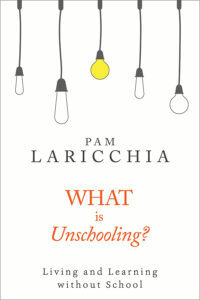 And if you haven’t read my essay, I Am What I Am, on my website shinewithunschooling.com, please do so! ANNA: Pause the show right now and go read it! ANNE: We will wait while you go read it because you won’t even believe the similarities that I write about with what you are saying here. The two books that I mentioned, they are not unschooling books, so please just take from it what you need to get, what I said was a better understanding of your child and don’t try to follow any specific advice. In fact, I think it was one of the chapters in The Out-of-Sync Child that says, “If only school could be more like home!” (laughter) Um, hello! How about you eliminate the school portion entirely! So, just remember that while you’re reading and seeing your child in the words that you’re reading that you know your child best and your child knows himself best. So, just be careful not to take it in a direction that isn’t in alignment with unschooling or who your child is. Another thing I would like you to be aware of is your reaction to his behaviors. Your question is so full of celebration for him and who he is and that is so fantastic and perfect. And also, being so empathetic, your son is most likely picking up on the fact that your husband is feeling a little embarrassed by his behavior. And even your desire to help with how to respond to his behavior, we can pivot that a little so you can go deeper and see only your son, see only him in these moments without so much focus on how to respond. In fact, I thought for a little exercise maybe, see if you can be even more radical and read your question again and hold on to that celebration that you already have of who he is with absolutely everything that you wrote about him, absolutely everything. And see if you can feel it—feel the celebration—even in those explosive moments that you wrote about because I can really feel celebration and appreciation for who he is. He is so full of feeling things that he needs to let it out in this manner. He just needs to let go and how cool is it that when he’s done, he’s just done with it. My son Jacob was more implosive. He would hold onto things and they would pile up in his being-ness and just eat away at him. Even years later he would come to me and tell me that he still feels so bad about something that he did years ago. Your son can’t hold onto it. It just builds up and it has to come out. Once you see that as something to be celebrated, maybe not feeling an embarrassment about it or seeing the behavior and wanting it to stop, then you can move forward in helping him. Because it’s then that he will feel that you have validated how he is feeling and how he is responding, even. And as you know, he is feeling it all so deeply. So, that’s where I’m going to talk more about validation now because validation is so huge and important. If you’re reacting from a place of simply wanting his behavior to stop, that’s just going to make it more intense because he’s really knowing that he’s not being seen. Even if you’re trying to fix the thing that’s making him upset, which seems like it’s a very loving thing to do—you’re trying to help him and fix the thing that’s making him upset—but you’re not going into feeling what he is feeling, you’re just going into fix-it mode. Here is where you go deeper. You see everything through his eyes and his heart and you do some radical validation of how he is feeling while holding on to the celebration of who he is. You know, appreciation for him and the way he feels so deeply, that’s where you need to be. Radical validation is feeling what he is feeling so deeply in yourself that you can sincerely, sincerely say, “Oh my goodness, I so understand what you’re feeling, that is so upsetting. I’ve felt that way before, I get it. I am so sorry.” Or something like that. And maybe when he is having his explosive moment there’s not even space to say any words but even then, you can hold onto those feelings, deeply hold onto those feelings of validating him and hold that space for him and he will definitely feel your energy and where it’s not in conflict with what he’s feeling, it’s in alignment with what he is feeling. So, he can continue to work through it in his own way and in his own time because you are honoring and validating him. And it’s in that radical validation where our kids feel completely seen and heard, respected and honored and celebrated. This is the place to go to so that your son knows that no matter what he’s doing, how he’s responding, what he’s saying, you understand and you’re letting him know it’s still okay and right to be who he is. And it’s in that space that they can own their feelings, they can own their behavior, and then shifting out of it becomes easier because, again, your energy isn’t in conflict with theirs, it’s in alignment. As long as we understand that shifting out of it will happen when they are ready, again. 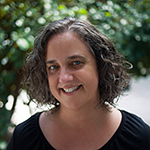 The same conference talk I mentioned in the first question, This Is How We Shine: Growing and Expanding, I have an excerpt that’s on my website that’s called, Validating our Children, and I think that would be a good read for you too. In fact, when I was speaking I remembered another book, isn’t it The Explosive Child? Isn’t that what the other book is called? Another thing that we use is briefing and debriefing. I’ve talked about that before in the podcast. It’s where before we go to do something, our family would review where we are going, what we envision it will be like, what we do if something comes up and somebody is upset, how long we think we are going to stay there. You know, we just kind of cover everything. What we’re going to have to feel grounded again if the child gets upset, maybe water and some cheese or something. And then we go into situations prepared for anything. And in your situation maybe you could say, “If something upsets you how about we go for a walk and talk about it and I’ll give you some water or give you a backrub.” You know, that’s a sensory thing that you’d ask about. Oh, the other things that were sensory things that you’d asked about, shinewithunschooling.com has a list of sensory activities. You’ve posted that before, haven’t you, Pam? PAM: Yep, but I’ll put it in the show notes here, too. ANNE: Okay, good. And then there is the debriefing after you’ve been somewhere to figure out if something happened, what went wrong, what we could have done better, what we could do next time. And an important part of debriefing is focusing on the really good moments, the cool moments. What did you think was so cool, what was so neat when you did this, and it’s just kind of covering everything and that gives them information. That also helps with trouble in transitioning, I’ve always found that to be helpful also. With my son, I used to go to him where he was in his game or his book or whatever, and sit by him and touch him and connect with where he is with where I am. You know, bring him back to being in our home and talk to him about what he’s doing and then mention that we have this thing that we’ve talked about doing and gradually get his mind over to that place instead of any abrupt, “We gotta be somewhere in ten minutes!” He always needed time and physical connection between worlds. Between his world and our home world and the world that we were going out into. So, I think I’ve talked enough, how about you, Pam? PAM: (laughs) Do you need a drink? ANNE: (laughs) I’m going to have a drink. PAM: Just to say, all your homework will be in the show notes. The only little touch I had to add, you had mentioned that he does not want to quit soccer and becomes distressed at that idea. So, as you’re opening up to some more creative ideas, the only thing I wanted to mention is that might not be the only way to have that soccer experience. Maybe he’s thinking that he either plays on this team or he doesn’t get to play. That’s one thing that can help, is realizing that organized activities needn’t be the only way to do things. You can dance around at home if they’re interested in dance but for some reason the organized activity environment doesn’t work for them. Your husband coaches soccer, so he loves it, so, they could go out and play and kick the ball around and maybe even grab a couple of other kids if maybe three or four kids, or two or three kids is a more comfortable environment or space for your son to be playing soccer, etc. That was all I wanted to mention is that sometimes when there is an easy answer right in front of us, we forget other ways to accomplish the same things. So that’s all. Did you have anything to add, Anna? ANNA: Not much but just really quick, basically along with what Anne said too, but also talking with him when it’s not in the middle of the event, what would he like during those moments? And I think that can help kind of shape and Anne talked about some options that you can talk about with walking and water and a break but just, you know, having him involved in that process too of what would he want that to look like, what does he want those reactions, or he may just want to have the space to have them. So, if you can just celebrate that gift that he has, it will really change your perspective about it and I think you may find you have a role in explaining it to others at times, just saying, “This is his process and he is just getting all that out that he needs to, and isn’t amazing how he can, then just move on?” And then they are celebrating with you. So, I think again, this really is a gift. I think you can change that mindset about it even though it seems kind of distressing in the moment, I just love that he has found a way to get all that yuckiness out and then he’s ready to play and move on again. That’s really beautiful. ANNE: Right. And he’ll pick up on the fact that you are celebrating all of him. PAM: Okay! Question number three is from Chelsea in Idaho. I’m getting dinner ready, the dishwasher is clean but there are dishes in the sink and I need help getting things in order to get food ready for everyone. Usually the kids sigh or complain about not wanting to help. What am I supposed to do in a situation like this when I need the help and no one is contributing. At the end of the day we like the house picked up before everyone is in bed and most of the mess is from the kids throughout the day. They rarely want to help pick things up that they were playing with and most nights are not pleasant during this time. We are understanding the concept of respectful parenting and partnership but there are specific situations that are just making us draw a blank. PAM: Hi Chelsea! Thank you very much for your question. And I think we’re going to have a little bit of fun here digging a little bit deeper and we’re going to find kind of what’s in common between these situations. But basically, if the kids don’t want to help, the result of that is really just that things take longer—so your reality is that dinner’s ready later. And you know what, maybe that doesn’t bother them! For me, in these kinds of situations—and I’ve processed through these exact situations—so, for me it was about digging into my own expectations. Asking myself questions like, “Why do I have expectations of others?” I realized, as you’re realizing here, if they’re not meeting them, I’m the one who’s getting frustrated about it, right? And I don’t want to be frustrated! Like you said, you’re enjoying your lifestyle. These are two sticking points that you are finding. You don’t want to be frustrated. So, what I did for a bit to play around and see what happened—remember we tweak things and see what’s up—I dropped my expectations of others. And it was a huge thing, and it’s a relationship thing. And, actually, a good chunk of this was something I worked through in my marriage before I even discovered unschooling. This is a relationship thing: how are we going to live together with other people? And kids are people too, right? I do not want to live my life frustrated with the people that I live with because they weren’t doing what I wanted them to do. So, when I dug enough to see that’s where the problem was, I realized I didn’t want to play the role of an arbiter over someone else’s life. If I felt like I was spending more time cooking than I wanted, I knew I could choose to buy more convenience food that was mostly prepared and just needed heating. I realized my kids would eat that too, you know, that’s not something they would complain about. And the work that I was doing in the kitchen was stuff that I was choosing to do. It was the same with dishes—we could conceivably choose paper plates, right? And again, the kids probably wouldn’t make a fuss about that either. So, was it fair to expect them to do this work when it’s work that is generated by my choices? Once I realized these truly were my choices, I was comfortable knowing this work was what I was choosing: I was choosing to put in this meal prep time, choosing to have dirty dishes at the end of it. The most important thing about asking other people—kids included—for their help is that “no” is a perfectly fine answer; because realize, if that’s not the case, you’re not asking them. Once we’re in the space of understanding that “no” is perfectly fine, there’s so much less heaviness in the air—and almost paradoxically, you’re so much more likely to get a yes. Who wants to say yes when you can feel the pressure of an unspoken expectation of yes? You want to say no just to show you have the power to say no. But when the question is asked freely, without any expectations, without that overt power—you can just feel them waiting to hear what you’re going to say. It’s so much more pleasant to join that atmosphere with a yes when you exude joy and fun—not even that, it’s just that you exude that this is entirely a choice and that you are choosing to do it. It’s a choice that you are making and it’s okay whether they join you or not but it would be fun if they did. But that takes time to develop, for trust to develop so they know they are free to say no, because right now, although they do say no to you all the time, right, it’s getting frustrating. I’m sure they can feel your frustration, and so they know it’s not really a free choice. As for the second question, tidying up, it’s all rooted in the same foundation as the first question you had. It’s all in those expectations. That need for tidy at the end of each day is most likely your thing, right? It’s not their thing. It’s your expectations. Again, it’s near impossible to make other people—adults or children—meet your expectations without coercing them. What do you do if you want an adult friend to do something and they don’t want to do it? Or if a friend has expectations of you that seem unreasonable to you? How do you feel when you’re in that position? So maybe go back and explore your expectations around tidying up, just like I talked about for the food prep stuff. If you want to have space that is tidy, no problem! I loved how Tami Stroud addressed that a few episodes ago with her large family—she has zones that are designated for kids to do their thing and she isn’t bothered if the kids are messy because that’s what that space is for. Just in her mind saying, “that’s where the kids play,” then she can easily accept when that’s messy because that’s what they do there and that’s the whole point of it. And I love how she talked about managing the environment, not the kids. I think that’s a really great mind shift and it’s a great way to look at it. Setting up spaces to meet the differing needs of everyone in the family, so, places where kids can be messy and places that toys don’t go. The other thing that she mentioned was easily accessible and uncomplicated cleaning supplies, making it simple for kids to help out. The other thing that goes along with that is to be okay with things being done imperfectly—don’t expect kids to perform a task with the experience of an adult, or else soon they’ll be avoiding the task because they want to avoid being judged. So, that again goes down to our expectations on them. The kids will eventually experience times when they want the play room to be tidy, and there will be times when you have some time and may tidy it up to surprise them and they get to experience the joy of a clean room. But now, instead of them having to meet all of your expectations, now they are exploring their own environment, they’re creating their own environment and they’re learning about themselves, not about what you expect. So, see the difference? It can be a little bit tricky at first but there is just a huge mindset difference and once you have that trust developed—there are just so many more possibilities. You know, it just always comes down to options and possibilities in so many ways things can go. But a lot of the work is starting with our expectations and figuring out why we’re putting our expectations on other people. ANNA: Yeah, so, so much what Pam said but I’ll just jump into a few things because I do have the same experiences here. And I think I’ve mentioned before that I do need a clean palate to start cooking dinner in the kitchen. It feels very overwhelming to me if it’s not and so if the sink is full I just find it really hard to dig in and create a new meal and so that was just something that we talked about outside of the moment, not when we’re hungry and trying to cook dinner. But just explaining the why for me and what it feels like to me when I come in and want to start cooking dinner because I enjoy cooking dinner for everyone. And we decided that we like to clean up as we go vs waiting until right before because a lot of times we’re all involved in different tasks, me included, so sometimes we don’t want that extra time if we’re trying to get dinner done by a certain time. And also, for us, found that dividing things up—I tend to wash the things that don’t go into the dishwasher, and everyone else in the house kind of makes sure that anything else that can go in the dishwasher gets in there throughout the day. Often my husband will be the one who unloads the dishwasher, other people will pitch in when they see it needs unloading, you know, that type of thing. And you know it’s funny, a friend of mine, we timed it, and it was less than five minutes to empty the dishwasher which we were both just drop-jawed about because we’d always made it to be such a big deal (laughter). Aggh the dishwasher! But oh my gosh, less than five minutes and it’s all put away. So, sometimes that perspective helps again with all of that. But discussing what we needed to be done in between meals and then everybody can decide how they want to be involved in that. And just like Pam said, we may decide that that doesn’t feel good, we’d rather use paper plates or we’d rather not have the big meals, or we’d rather do these other things. Everything is on the table so it’s not a discussion about how to make it look how I want it to look. I can share my feelings about what’s not working for me and then we can decide, with all of possibilities, what makes sense for the four of us. And I feel like when we’re clear about what our needs are and what our struggle areas are, that just helps us all put it into the soup to figure out what makes sense and how do we work through this together. And again, not with one set outcome of them cleaning the kitchen before I start dinner. That’s not the outcome, we don’t know what the outcome will be. It’s going to be what feels good to all of us. And so, I think it’s just that idea of talking to each other. This is not a top-down decision. The expectations are set aside and just focus on solutions. And so, then with your second question, I agree it’s really related to the first question. Looking at that statement, “we like to have,” there’s at least four people living in your house because you mentioned kids plural, so let’s say four, there are four people with preferences. In our home, no one person’s preferences carry more weight than the others. So, we talk about our needs and preferences and find ways to accommodate each other. I actually do like a clean space, I like surfaces that are clean, I find them calming and so I’ve carved out areas of the house that are mine. That sounds very much like what Pam’s other podcast was talking about. And I keep them clean. I keep those surfaces clean so that when I come into my space in the morning it’s calm and it’s clean and I can sit down and do whatever I want to do in the morning. But for others in my family, their work and their play is spread out just the way they want it. They want to see their creation and even though it may look like a mess to me, that’s a judgment. It’s their creation and it inspires them to dig in and to create more. So, we love to find space and to leave space for that because it’s so important to them. And you can find solutions to individual problems —I’ve had people tell me, “but I’ve got to walk through the living room at night and it’s too cluttered,” well then, create a little path or have different areas or things like that. I think it’s that creative problem solving. And it may not be the reason you think. I think parents often tend to think, “Well they’re lazy, they don’t want to clean up after themselves.” But if you can have the open conversation without the expectations, you learn so much more about each other. Because, for example, some creative play endeavors involve a lot of set-up and time until you get to the actual meat of the creative play piece and how frustrating to have to start that set-up time over every day. And it doesn’t let you get in the flow and grow from where you’ve left off yesterday. It’s just thinking about it in a different way. So, I find ways to care for my need for clean surfaces that don’t impinge on the creative process of the others in the house. Examine your assumptions. Have conversations without attachment to outcome. Let go of those expectations and just see where it leads and I think that you’ll find that it’s an easier “problem” to solve than you think. ANNE: Once again, as with everything, we have to realize that we don’t need to adopt society’s messages about life and in this case, about chores. Since I’ve abandoned all of society’s messages, which was when Jacob was born, at his insistence (laughs), I also didn’t want to have any negative connotations with chores with my kids. So, it was easy for me to not require that of them and what I’ve found throughout our unschooling days was that when we were all doing our own things, we were in different rooms part of the ebb and flow of our lives kind of coming together or being apart—you know, if I would go down stairs and start folding laundry, Jacob or Sam would know where I was and they would seek me out to come and talk to me about their game or something. There I would be folding laundry, or doing laundry and this was our time to connect. That’s what it turned into. A valuable, valuable time of connection with each other. And it got to be where I’d be like, “I’m about to fold laundry, do you want to come and be by me?” So, then they would come and be by me and eventually they would start picking up stuff and folding it also and so that’s what it grew into. We would all just start folding clothes because the focus was on our connection together. And that’s the same as it was with dinner-time. Gathering for dinner-time in our family was a huge celebratory thing. My husband was coming home and we loved to cook and Sam and I would be cooking something, so it was our coming together again at the end a day of our ebb and flow. And I’d be like, “What do we want to do? There’s cooking, do you want to set the table, eat in, out, eat in front of the TV,” it’s all of the discussions. It’s all this world that we created on our own without any of society’s messages in there. And even with my husband, he does like order, and so what we say was that he would come home from work and if there was a mess in a main area on our table or something, he would clean it up. And he’s always known for vacuuming everything all the time and when we’re going someplace we’ll be in the car waiting for him and we’ll be like, “Where is Dad? Is he vacuuming?” So, my kids on their own got to a point where they were like, “I don’t want Dad to come home and start doing work, so let’s get this cleaned up so that he doesn’t feel pressure to do so.” And that’s totally because of their desire to just have time other than cleaning with their father after work. And that was a beautiful thing on their own. It’s become a thing, like, “Are you going to kill yourself if this is sticking out like this?” Yeah. We have to clear this entire space, this path, for Dave to walk in the middle of the night and make sure that he doesn’t kill himself. So anyway, that’s my two cents. ANNA: Okay, I will move on to question four then, which is from Liz. My son has been playing with coding and wants to learn how to code in Lua, which is the language that Roblox uses. After looking at lots of different options for him to learn coding, he is very clear that he wants me to learn to code and then teach him what I know and help him write scripts specifically for Roblox. He has fantastic ideas for in-game mods, but we have found it difficult so far to write scripts that work like he wants them to. I would love some encouragement and/or stories from your lives about how you’ve helped your children learn about something that is challenging for you. ANNA: Well there have definitely been times where I’ve taken on learning something that is outside of my comfort zone to facilitate one of my girls. And as I was thinking about this question, looking back, I can see that me taking that interest and learning what I could was actually enough to propel them along that path and usually they quickly surpassed me, not needed my help anymore. But I’m still so glad that I put in the effort and gave them the support that they needed to take it from there. Maybe in your case finding a mentor or getting some tips and as your son becomes more comfortable then he may decide, “I want to take the lead on this,” but right now he’s feeling the need for you to be there with him and learning right alongside of him. I found it helpful in these situations too, to remember that things change so quickly and that nothing lasts forever. This is what he needs right now and it’s a really cool connection to have with him while he’s starting out exploring this passion that’s interesting to him. Most likely he’ll either lose interest in it or he may take off and soar with this interest without you and, either way, I just think how fun that you’re getting this time with him to figure it out in the trenches together. And so, I think just look at it in that way and make it lighter and have those conversations with him and he can see your process of how you find out information and maybe that’s kind of what he’s looking for too. “How is she going to approach this problem?” So, you can find what works for you: mentors or reading or YouTube. YouTube is so helpful, so helpful. YouTube, in so many situations! And just go from there. Anne, any other thoughts about that? I did learn to play Yugioh for a day, oh no, wait a minute, it wasn’t Yugioh it was a different one and I don’t remember what it was called but now I remember my kids saying, “Mom, this one is easier than Yugioh, I think you can do this one!” Do you guys have any idea what that may be? Anyway, I learned how to do it for a day, and you know, as Anna was saying, could not keep up with my kids, forgot it the next day. But the most important thing is that I’m there to support them, to help them read things, because they were playing games before they could read, and I was just there as they played, asking questions, wanting to learn more about their game when they come to me with their stories about their game, I’m there. 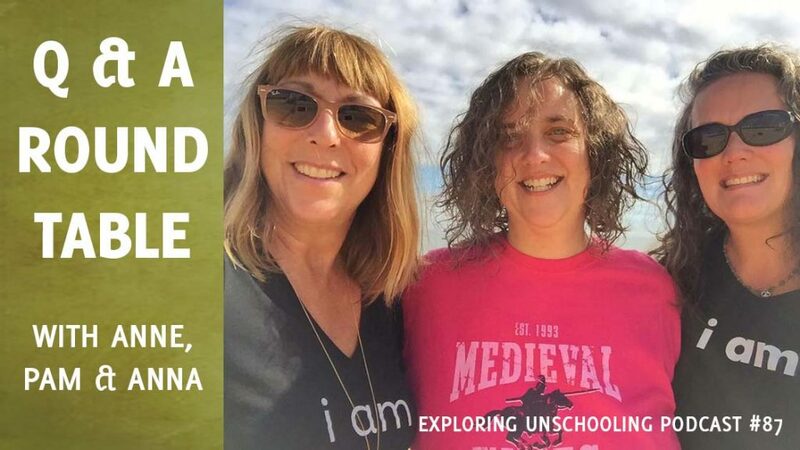 An unschooling gathering is another place where you know the passion is celebrated by parents and kids alike so that’s a cool place to seek out and to find people with a similar interest. And one time, I did learn to play guitar because Sam wanted to learn and I figured it was the best way to help him learn how to play, plus I always felt like it was the cool kids who knew how to play guitar so I was excited about exploring that category for a change—being a cool kid. And then Jacob wanted to learn, so it was the three of us sitting around the table with the beginner chords, stretching and learning how to play guitar and it was really fun! We actually played together at one of the talent shows at a Live and Learn unschooling conference. We learned and played a song by Sam’s favorite band at the time, Augustana. So, you know, that’s taking Sam’s interest and jumping in with him and yet still going back to him. We wanted the song to be something that he wanted to play and everything. So, that was really cool. And then it got to the point where Jacob and I just kept going with it and Sam lost interest or maybe he felt like we hijacked his thing, I don’t know! (laughter) But he still doesn’t play to this day even though he has that $800 guitar that we talked about in the previous episode! (laughter) And I love that you asked for stories, that’s really cool and thank you so much. PAM: The baton! Woo! Oh, Mike injured his ankle on a baton pass on the horses the other day. ANNE: Part of the danger of the job! Anyway, speaking of stories, I’ll echo the stories in this situation where I learned so many things that I wouldn’t have pursued on my own. Like tons of bands and music and how to apply for U.S. Visas. (laughter) And all the weapons and stunt fighting and all that kind of stuff. It was all super interesting but yeah, it was joining them so that I was there to help them pursue their interests in any of the directions that they wanted to take it. One thing I found interesting in your question, Liz, was that you said that he wants you to learn so that you can show him how to do it. And I thought that was a really fun little bit to dive into. Asking yourself why he wants that set up that way. Is the information that he’s finding, maybe in YouTube videos or wherever, about that particular programing language confusing for him so he’d like you to figure it out because he learns things better the way that you show him? These are just great questions to ask yourself. And I think Anna mentioned, it’s a great opportunity for you to model how you figure things out, sharing with him the websites and forums that you find to ask your questions when you’re stuck, because then you’re giving him more tools that he can use if and when he wants to take that over. And it just shows him how you approach things when you’re confused and he can see you confused. It’s, “I don’t know how to do that, I’m going to figure it out.” Maybe you are his hands right now and once you’ve figured out kind of a repeatable plan for finding answers and he sees that work a few times, he may take it over, as we’ve seen a lot of times. It kinda reminds me, and somebody mentioned, about learning to read. I think it was you, Anne, right? We read for them until they’re ready to take that over, or maybe we write for them or maybe we type for them. So, it’s just another aspect of that. We do what we can to help them do what it is they want to do. And back to the expectations, again, if they said no, that’s totally okay too. That was, for me, part of sitting with the discomfort for a little bit and seeing where things went. Remember, we talked so much about time and just seeing where things go because it always resolves. Maybe we got a bit further and I came to see the value that I was adding to their process. So, I was their hands for a while. Or they eventually took it over and I saw I was really more like a transition tool for them. Or they lost interest in it as they saw how much work it was taking me to do it and figure things out and they realized it wasn’t worth that much investment of their time and things passed away. But the thing to consider is, it’s not worth making it look like magic—they aren’t getting real information this way. Things don’t magically appear if we don’t know how to do it. And even if we do know how to do it, it’s just letting them see what we’re doing, even if we’re doing all of it, so that they are seeing how it works. Like you go back to the kitchen thing, they see you unloading the dishwasher, they know that’s a thing. They see how long it takes to prepare dinner, they know that’s a thing. It’s living life beside them and with them, not kind of behind their back, does that make sense? ANNE: Yeah, if I can jump in with everything you’ve been saying, the word creation came to me again. And when I was talking about how we create our worlds, this is it! Working with our kids in this way and fine-tuning every step of the way. You’re talking about what they want and how much we can give and is this enough and what do you think about this…I just think it’s got this beautiful feeling, a beautiful swirl and flow and it’s amazing, the picture that we paint, we create with our lives with just the connection. The true deep connection with our children, I just love it. PAM: I’m looking at the goosebumps on my arms (laughter). Because that’s entirely it. We’re living together, it’s just the swirl. The swirl of life and the connections and being okay with the discomfort for a little bit because after a few times you realize, it’s going to work out and now I’m so curious to see how it’s going to work out! PAM: It doesn’t mean ignoring your needs but it also doesn’t mean plopping them on another person immediately. Because we don’t know enough, at first usually. We need more information to kind of feel this out and see where it’s going. And with that beautiful picture of swirling connections, I would like to say thank you so much to both of you for answering questions with me! Yay! And just a reminder, there are links in the show notes for all the things that we mentioned. We mentioned a lot in this show! PAM: Exactly! And if you’d like to submit a question for the Q&A show, just go to livingjoyfully.ca/podcast and click on the link! Have a great day everybody!